What’s in it for Developing Countries? 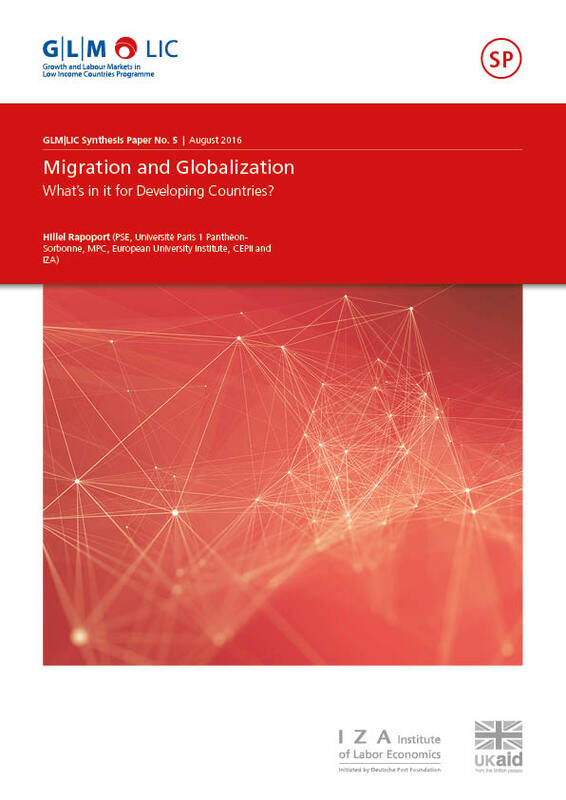 This paper reviews a growing literature on migration and globalization, focusing on its relevance for developing and emerging economies. It documents the role of diaspora networks in enhancing cross-border flows of goods, capital, and knowledge, eventually contributing to efficient specialization, investment, and productivity growth in the migrants’ home-countries. Particular attention is paid to the role of skilled migrants, and to information imperfections reduction as the main channel for the documented effects. Overall, the evidence suggests that migrants contribute to the integration of their home-countries into the global economy. Migration and Globalization What’s in it for Developing Countries?